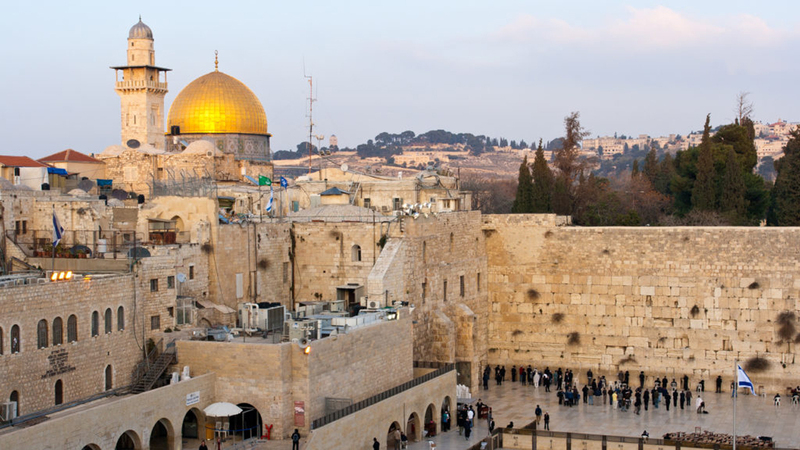 Join us on this amazing journey to Jordan and Israel. 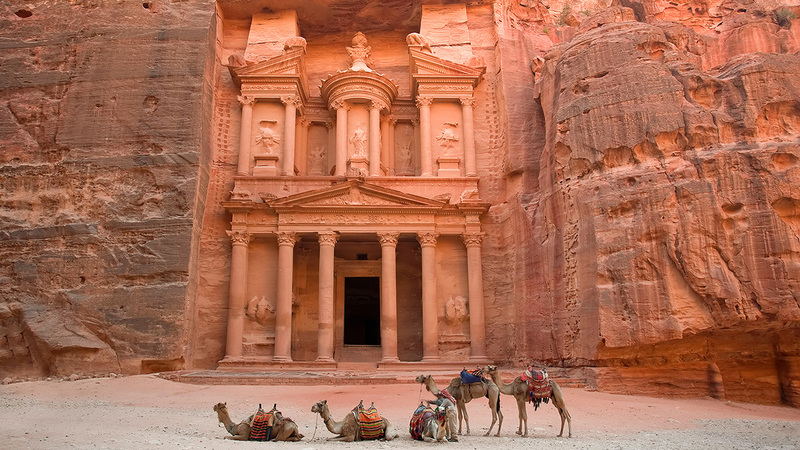 First, you will visit Petra, one of the seven wonders of the world. Petra is one of the most famous archaeological sites ever discovered. Your journey will continue into Israel with a visit to the Jordan River, where Jesus was baptized by John the Baptist. 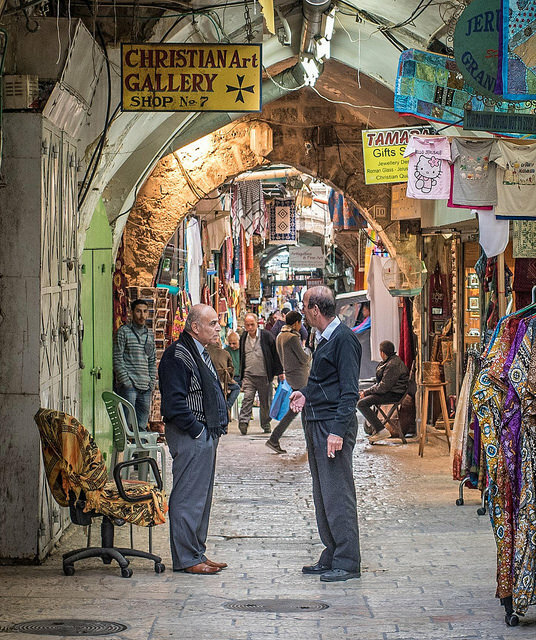 You will experience Jerusalem, the Holy City, and walk the stations of the cross on the Via Dolorosa. 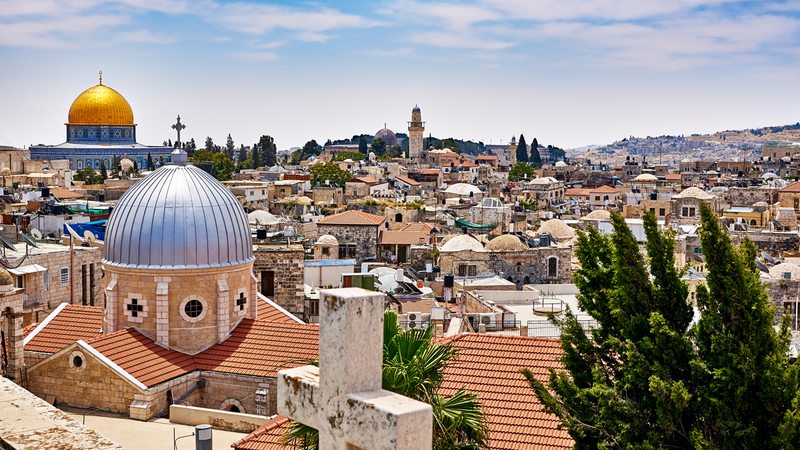 Stand at the Mount of Olives and visit the Garden Tomb. Join us on an experience that you will never forget. Depart North America via jet service to Amman, Jordan. Meals will be served in flight. Upon your arrival in Amman, the capital of the Hashemite Kingdom of Jordan, you will be met and transferred to your hotel for dinner and overnight. From Amman, you may explore dozens of fascinating biblical and historic sites east of the Jordan River. This morning you will travel from Amman to Mt. Nebo. Drive along the same route that Moses was forbidden to travel on by the King of Edom (Numbers 20). Picture yourself standing where Moses was laid to rest. Visit the memorial of Moses, the presumed site of his death and burial place, which is the center for pilgrimages since the earliest Christian times. You will be inspired by the biblical feel from start to finish as you experience this divine tour. Continue on to cross the border into the Holy Land. From there, travel to Jericho and visit the Tel El Sultan ruins, one of the oldest cities in the world. From Jericho you can see the Mount of Temptation where Satan tempted Jesus as he fasted for forty days and forty nights. Visit Elijah's Fountain. 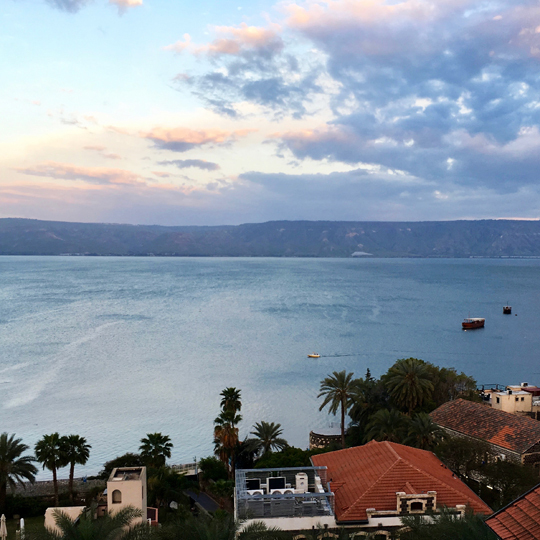 Drive along the Jordan Valley to Tiberias for dinner and overnight at your hotel located on the shores of the Sea of Galilee. This morning board a boat on the calm surface of the sea and cruise toward Capernaum. Upon docking, visit the site where Jesus began his ministry, the house of Peter, and the synagogue where Jesus taught. Proceed to Tabgha, the site of the multiplication of loaves and fish. Visit the 4th century mosaics. 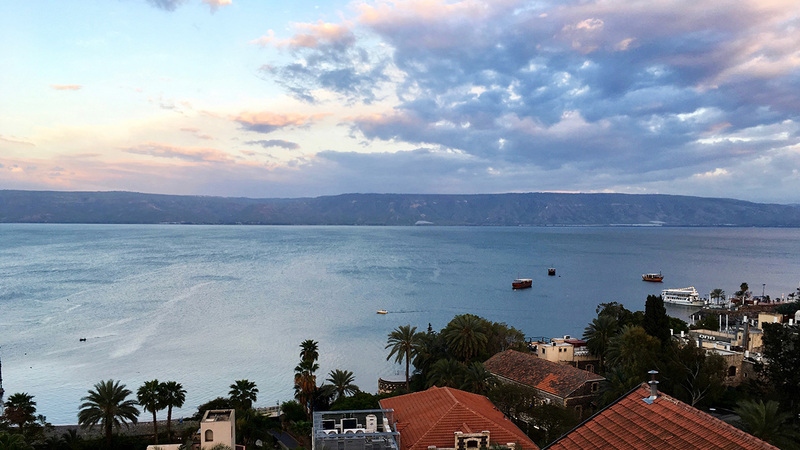 Drive to the top of the Mount of Beatitudes for an outstanding view of the Sea of Galilee and the surrounding area. It was here that Christ taught the eight beatitudes to his disciples. Drive to Cana to visit the site where the first miracle took place. Return to the exit of the Jordan River from the Sea of Galilee where a baptismal service can be arranged. Return to your hotel. Leave Tiberias and travel to Nazareth where Jesus as a boy helped Joseph in his carpentry shop. We will visit the Church of Annunciation where the angel appeared to Mary with news of a son. Mary’s Well is nearby. Continue to Megiddo, Armageddon, a very important strategic point on the Via Maris connecting Egypt and Damascus. It is a city that has witnessed many wars and suffered much destruction throughout different periods of time. Our belief is that the last battle is going to be on the hill or the plains of Megiddo. Visit Haifa. Mt. Carmel is renowned for the contest of Monotheism and Paganism. The prophet Elijah confronted the priests of Baal and confounded them at Al Muhrakah. Proceed along the Mediterranean and parallel to Mt. Carmel to the beautiful city of Caesarea to visit the ruins of the Crusader's city surrounded by a moat and a city wall enclosing the ruins of the Roman city. Visit the Roman Theater and proceed to Jerusalem for dinner and overnight. 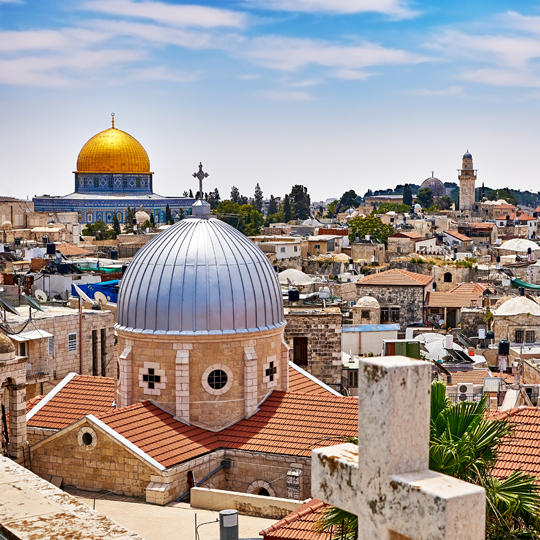 Drive to the Mount of Olives and take in an outstanding view of the city. Visit the Chapel of Ascension, Church of Pater Noster, Garden of Gethsemane, and Church of All Nations. View the Kidron Valley. Drive to Bethlehem for a visit to the Church of Nativity, visit the Shepherd's Fields and the Fields of Boaz and Ruth. An afternoon drive takes you to visit Mount Zion, the site where Jesus accomplished his ministry. Visit the room of the Last Supper. 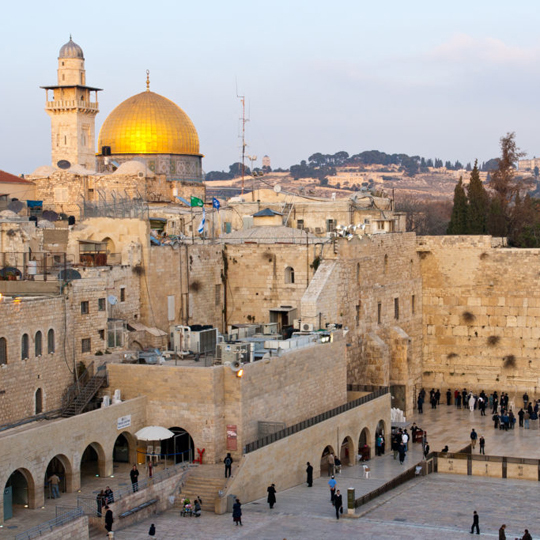 Visit the Tomb of King David and the House of Caiaphas, proceed to the Knesset, or the House of Parliament. Visit the Shrine of the Book enclosing the scrolls of the Dead Sea. Visit the National Museum. Return to your hotel. 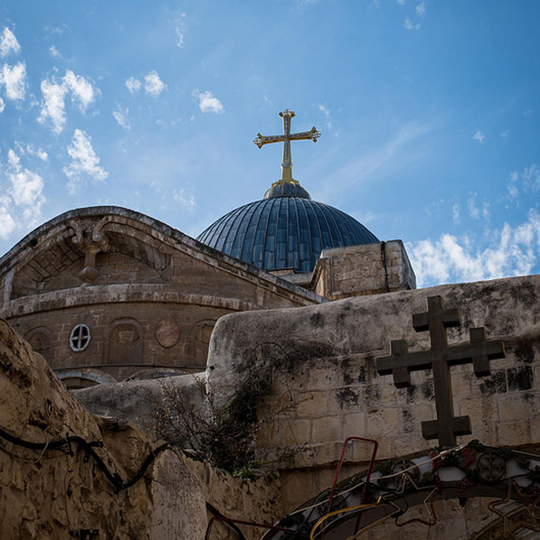 Visit the Garden Tomb and Gordon's Calvary, the sites where Jesus was crucified, buried and resurrected. A communion service can be arranged at the Garden Tomb. Proceed towards the city walls built by Suleiman the Magnificent enclosing the most holy sites. 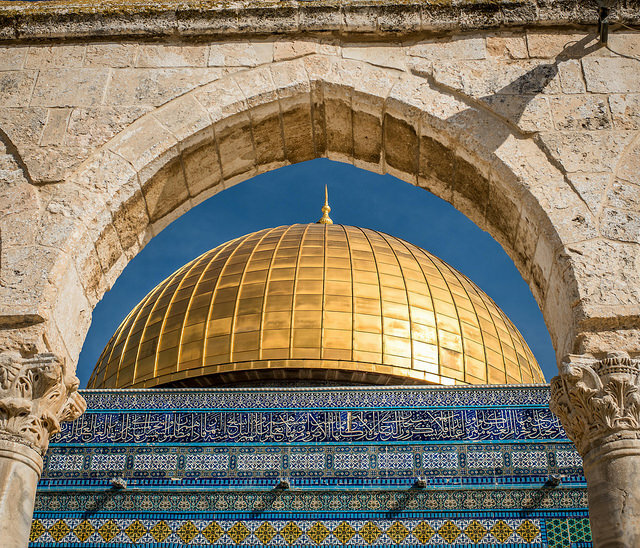 Walk into the city through the Damascus Gate and through the colorful bazaars to the superb Temple Area, where Solomon's Temple was built on Mount Moriah. 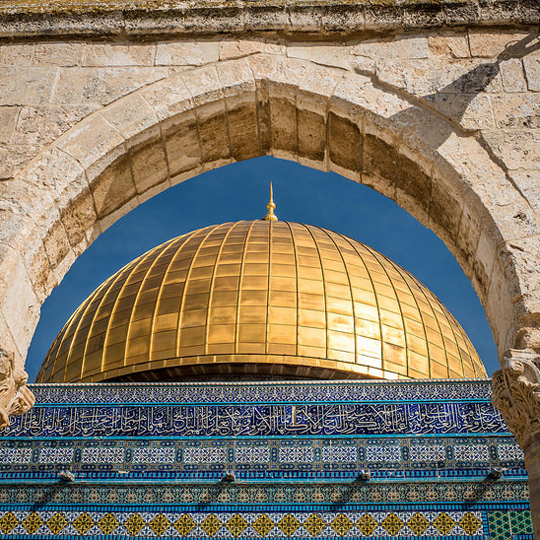 Visit the Dome of the Rock enclosing the Rock of Sacrifice, the Mosque of Al Aksa, further south, the Pinnacle of the Temple and the Western Wall or the Wailing Wall. 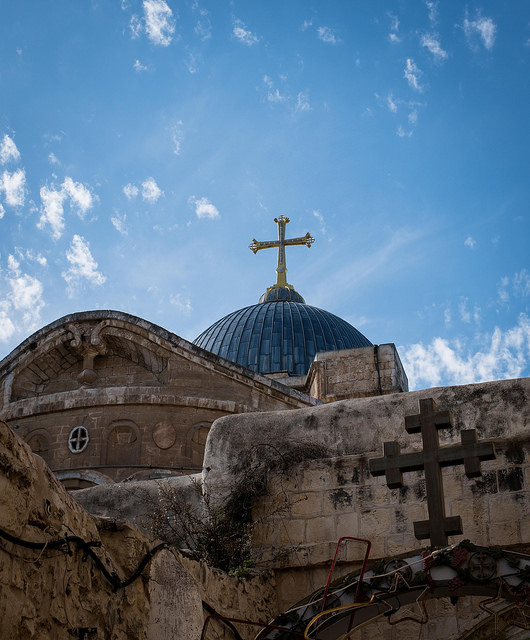 In the afternoon, start at Saint Stephen's Gate and into the Old City to visit the Church of Saint Anne, the Pool of Bethesda, the Lithostrotos, Pilate's Judgment Hall and walk on the Via Dolorosa leading to the Church of the Holy Sepulcher. 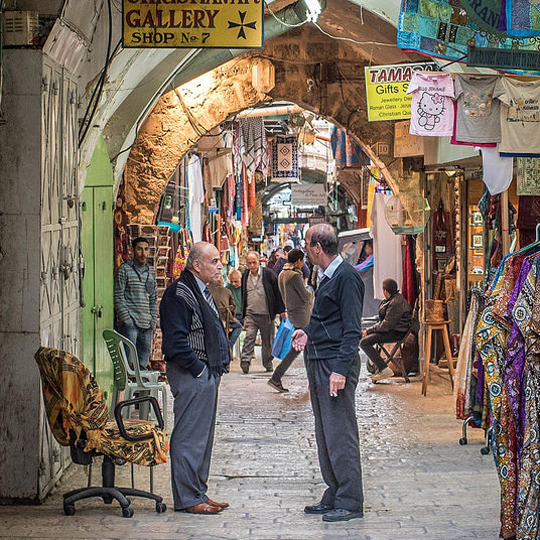 Walk through the bazaars to the Citadel and take the bus from Jaffa Gate back to the hotel. This morning drive into the wilderness of Judea to visit Qumran, the site where the scrolls of the Dead Sea were found by a shepherd boy. 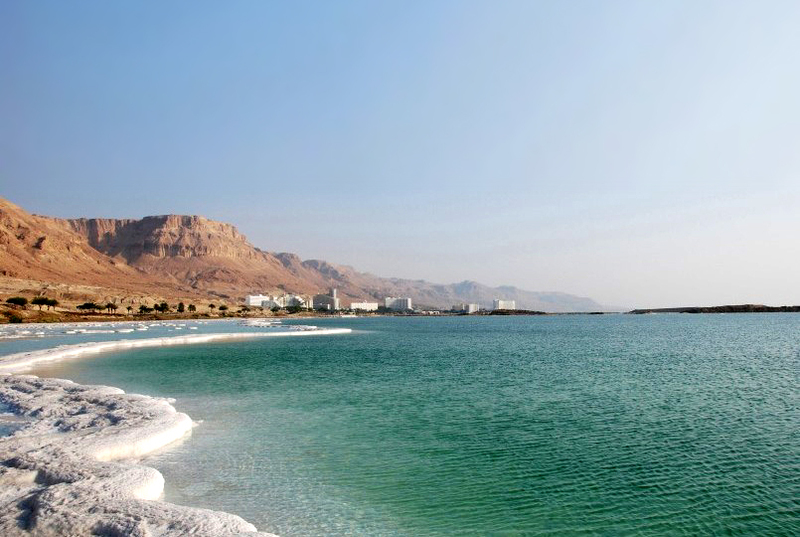 Continue on a beautiful new road that takes you along the shores of the Dead Sea to Ein Gedi where a precipitous cliff, filled with caves, rises some 2,000 feet. Enough time is provided to visit the waterfalls of Ein Gedi. 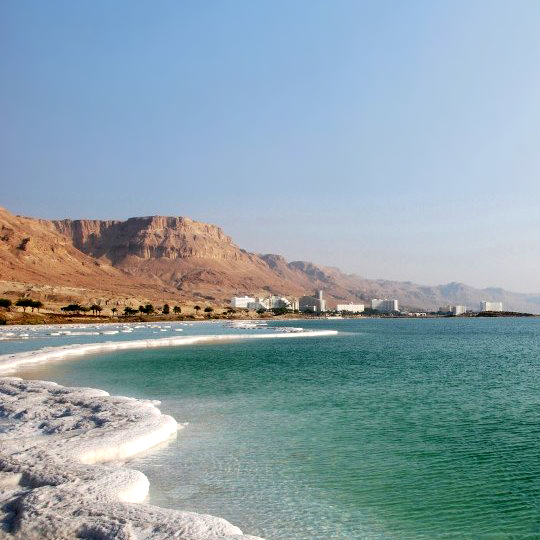 Proceed for a visit to the Dead Sea where time is allowed to swim, float, or enjoy the therapeutic therapies of the mud. 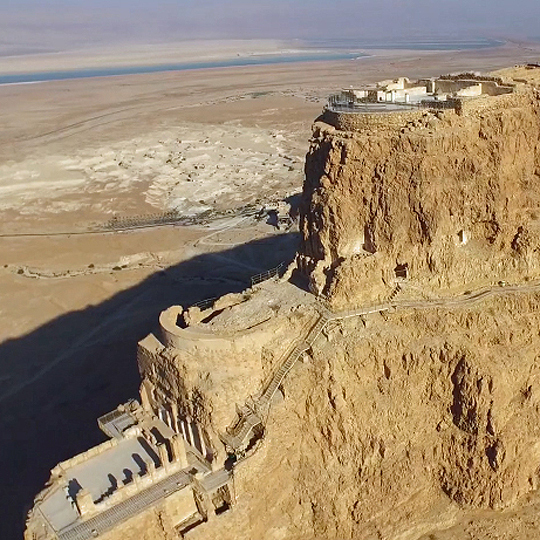 Continue on to Masada where the Zealots held the last foothold before they sacrificed their lives for their liberties. 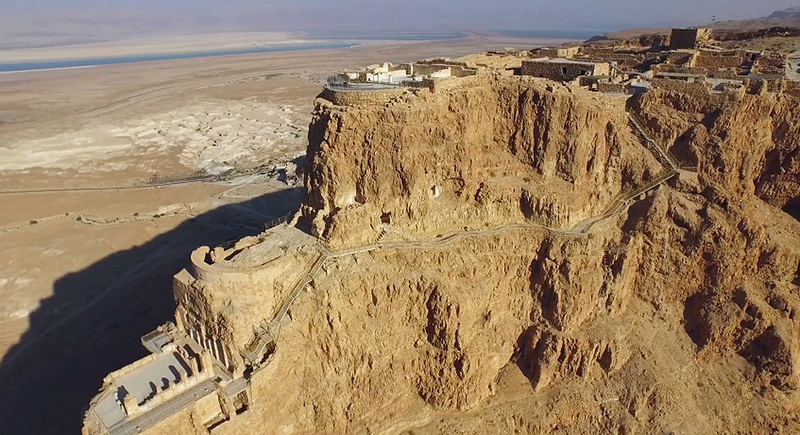 The ruins of the Roman camps are still surrounding the fortress and the ruins speak to the visitors about the glory of Masada and of Herod's works. Walk down the Roman ramp to meet your bus and drive through the Eastern Negev to Arad and Beer Sheva to the Valley of Elah to hear the story of David and Goliath. See the place where Goliath was killed. Stop at Emmaus where Jesus appeared to two of his disciples after his resurrection. Continue to the Village of Latrun known as the home of one of the thieves who was crucified with Jesus. Return to Jerusalem for dinner and overnight. This morning, depart Jerusalem to visit Petra, the Red Rock City. 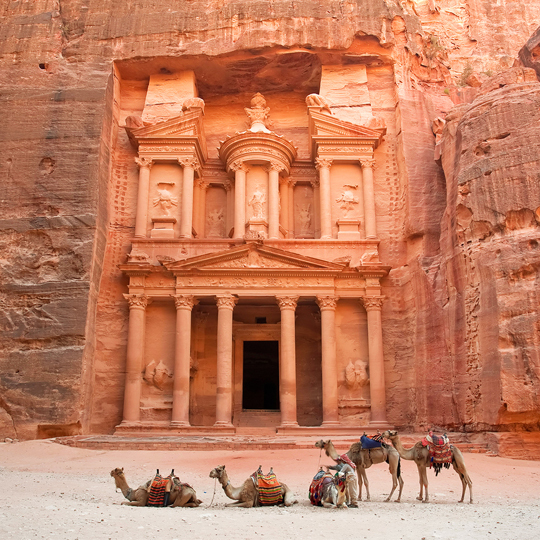 Petra is considered the eighth wonder of the world, a complete city carved in colored sandstone, rediscovered in 1812. An unforgettable experience on horseback or chariots through a narrow canyon will take you to the Nabatean city of Petra to visit the Treasury, the theater, the Palace of Justice and other marvels. Return to your hotel in Amman for dinner and overnight. Transfer to the airport to check in for your return flight home. Afternoon arrival.